Because it’s not just about the medicine…it’s about your health and happiness. HIV & infectious disease medications are tricky. For example, you have to take them regularly or you risk the medication not working. So, if you have HIV or are fighting another infectious disease and come to Chase Brexton for your care, we want to make sure you are successful and getting as healthy as possible. We have several programs designed to get you “in the groove” of taking your medications. We will work with you to achieve the life-saving goal of taking your medication on time, every day. Before you start your medications, we may have you complete some of the programs below. They’re free – and they will help you stay healthy. Take a look at the program descriptions, or call to find out more: 410-837-2050. ​This discussion and support group meets every other week. During Club Med, you meet with other patients, pharmacists, peer advocates, and a therapist. Together, you'll talk, fill your pillboxes, share information, and provide (and receive) social support. Remember, you're not alone in managing your HIV - we're all in it together. ​Sometimes, we get stuck in a rut. Sometimes, it’s hard for us to make the changes we need to make in order to be healthy. That’s where DOT comes in. If you have not been successful taking HIV medications after trying many times, we will require DOT. Visiting you at home, a DOT staff member will help you get into the routine and take your medications. A variety of HIV support groups are available for Chase Brexton’s patients. Among these are groups that are women-only and men-only, should you prefer. Ask your provider or MST team member about these groups. Or check out our groups and classes here. ​ Do you know what it means to have your viral load suppressed? What about how the disease replicates in your body? This one-hour class will provide you with a solid foundation of HIV knowledge so you know what HIV really is - and what is really a myth. Having a better understanding of HIV disease will increase your success in taking your medication and will help you better take care of yourself. We recommend that you attend HIV 101 before your first MST visit. ​MST visits are a part of your treatment program when you are starting (or re-starting) HIV medications. Your MST team includes doctors, nurses, therapists, pharmacists, case managers, and peer advocates. Peer advocates are members of the Chase Brexton team who also take HIV medications and can give you their advice and support. Every Chase Brexton patient with HIV meets individually with an MST pharmacist and a peer advocate. 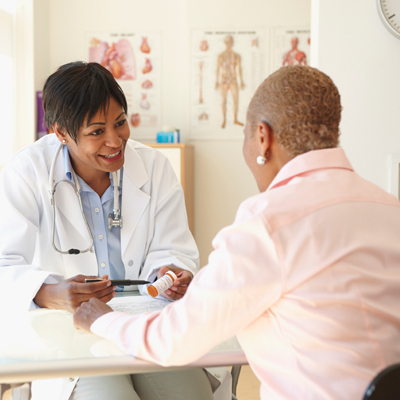 At these visits, you can ask about what medications will work best for you and discuss your concerns about medications, side effects, and taking pills on time. It may seem strange at first, but we have found that most people are more successful with taking their medications if they use a pillbox. When you meet with your MST team, they will give you a pillbox and discuss how to use it. Some extra support (like Club Med below) is available if you still find you're having a hard time managing using your pillbox. Don’t give up – you can do this! ​In addition to regular psychotherapy, Chase Brexton also offers Health and Behavioral (H&B) therapy appointments. H&B is short-term counseling that supports your efforts to be successful taking medications, helps you understand issues that may have gotten in the way of your success, and helps you plan your strategy for improvement.